Happy Friday everyone! 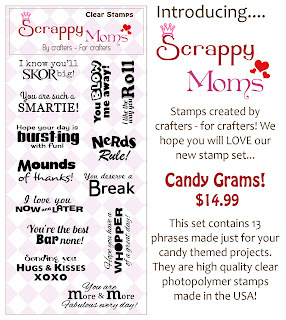 It's time for the October release of Scrappy Moms Stamps! 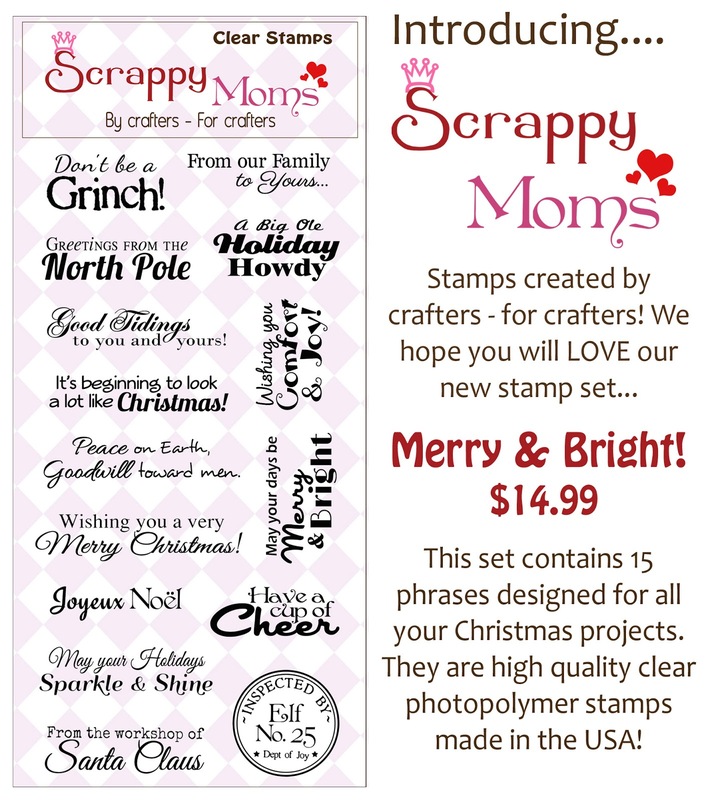 Here are the new sets....Merry and Bright and Candy Grams. Aren't they great? 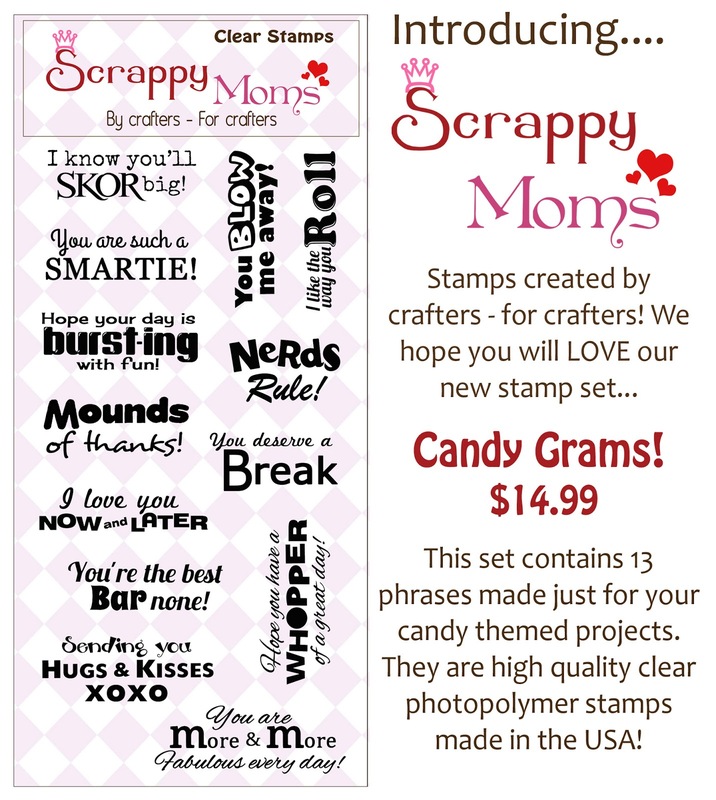 The candy grams are perfect for all kinds of goodie bags! I used the Merry and Bright set on this quick card. This fun neon paper is from American Crafts. You can find this at Target. 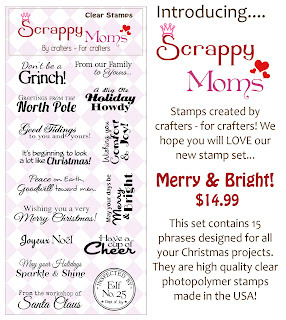 Head on over to Scrappy Moms to pick up the new sets. Be sure to visit the rest of the Design Team for more inspiration! Pretty Christmas card! Love the non traditional colors:) The tree is fabulous and super cute idea to put sequins on it-great touch! Love the new sets!